Interest in 14C is increasing in connection with its accumulation in the Earth’s biosphere. Participating in exchange processes as a biogenic analog of stable carbon it penetrates into all organs and tissues of living organisms. The danger of its accumulation in the Earth’s biosphere is determined by a particular feature of the damaging action incorporated in living organisms. These particularities and as a result the danger for mankind and individual groups of the population living in regions containing sources of 14C are briefly examined in this article. Translated from Atomnaya Énergiya, Vol. 125, No. 5, pp. 301–306, November, 2018. 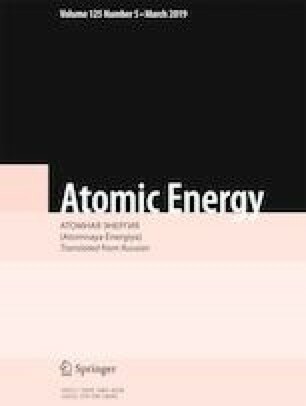 A. M. Germanskii, “Radiocarbon and natural mortality,” CBio.ru (2005), http://cbio.ru/page/43/id/1763/. A. M. Germanskii, “Historical dynamics of the biological component of mortality in Sweden and Norway,” CBio.ru (2003), http://gealeksandr.narod.ru. A. M. Germanskii, “Radioactive carbon natural background and natural mortality of people,” CBio.ru (2005), http://gealeksandr.narod.ru.